Numerous environmental groups, such as "Climate Mama", Rain Forest Action Network, Greenpeace, and Justice Through Music, oppose the use of hydraulic fracturing, but a new report shows that the practice may actually be lowering carbon emissions across the globe. According to the International Energy Agency (IEA), the increase in natural gas supplies brought about by the growth in hydraulic fracturing (or, "fracking") has contributed to "global energy-related carbon dioxide emissions" remaining flat for a third straight year in 2016, "even as the global economy grew." 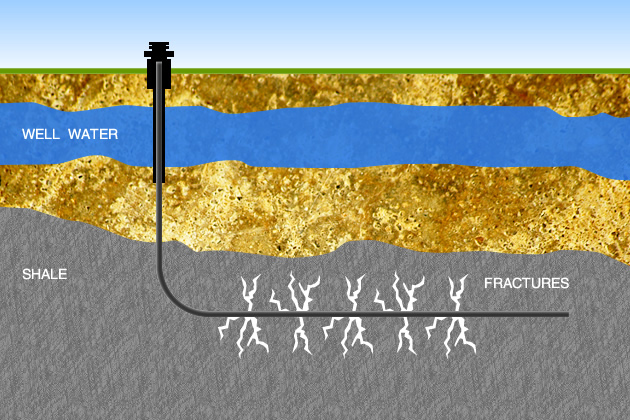 Fracking is a process which entails the injection of fluid – such as a water, sand and chemical mixture — into shale beds at high pressure to free up petroleum energy resources, such as oil or natural gas. While the IEA report credits the growth of renewables and energy efficiency, it specifically cites a "surge in shale gas supplies." That surge, of course, was brought about by the growth in fracking. IEA statistics show that the biggest decrease in carbon emissions came from the United States, where carbon dioxide emissions fell 3%, while the economy grew by 1.6%. These represent the lowest level of carbon emissions in the country since 1992. Capt. James McCormick, USA (ret. ), 3-time Purple Heart recipient and program director of Vets4Energy, pointed to fracking's safety and impact on the environment. Some policymakers and energy experts have acknowledged fracking's role in carbon emission containment for several years. In April 2013, Jeffrey Frankel, a Harvard professor and former member of President Bill Clinton’s Council of Economic Advisers, wrote that fracking was contributing to a drop in "greenhouse gas emissions." "Against all expectations, US emissions of carbon dioxide into the atmosphere, since peaking in 2007, have fallen by 12% as of 2012, back to 1995 levels," wrote Frankel. "The primary reason, in a word, is “fracking.” Or, in 11 words: horizontal drilling and hydraulic fracturing to recover deposits of shale gas. No other factor comes close to providing a plausible explanation." U.S. Senator Tim Kaine (D-VA), who served as Hillary Clinton's running mate for the U.S. Vice Presidential nomination in 2016, previously said that, "You know we've been improving our emissions in this country without agreeing to the Kyoto accords, without congressional action, because of innovation in the natural gas area, and that moves us down the carbon density scale. Not as fast as some would like, but it's moving us down the carbon density scale." According to the IEA report, fracking could continue to provide economic and environmental benefits well into the future. "With the appropriate policies, and large amounts of shale reserves, natural gas production in the United States could keep growing strongly in the years to come," according to the IEA. "This could have three main consequences: it could boost domestic manufacturing, supply more competitive gas to Asia through to LNG (liquified natural gas) exports, and provide alternative gas supplies to Europe."